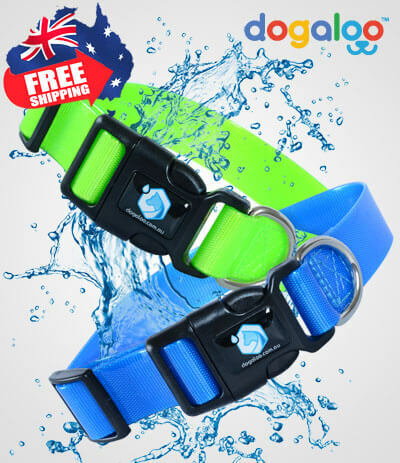 Keep your four-legged friend comfortable in style! Dog houses have come a long way from the classic gabled-roof variety. Today, there is virtually a dog kennel for every need. One of the more exclusive creations for the lucky pups out there would be the Modern Wooden Dog House. 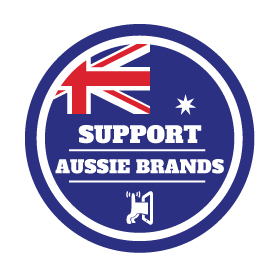 This Australian brand pays homage to the Bauhaus design with this modern pet house that gives an open feel to a normally dull kennel. Now don’t start getting lonely when your pet won’t come out to look for you for hours on end. Check The Modern Dog House Here! 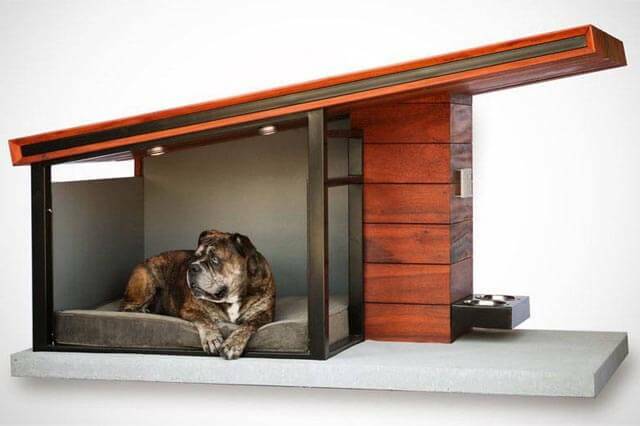 This amazing looking kennel is designed to maximize comfort. It is made of waterproof pine wood with a removable steel screen that creates a beautiful and elegant pet house that blends very well with your modern home decor. It is an attractive, safe, and easy to assemble house that will last for a long time. 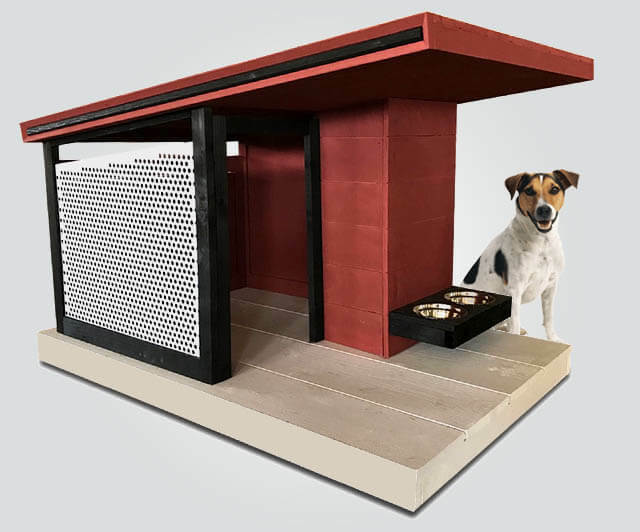 Treat your furry friend to a luxurious, comfortable new modern dog house!